In order to insure that the rum hadn't been watered down, the sailors would "prove" the spirit's strength by pouring it on gunpowder and then trying to ignite it. If it lit up, they knew that the alcohol content was greater than 57 per cent. If it did not, the rum was considered "under proof." This is where the term alcohol proof comes from, though it means something slightly different today. "Old Grog" for the waterproof grogram cloak he wore at sea. Over the course of the past three centuries, Navy strength rum became the stuff of legend. The deep brown spirit made its way around the world, often in oak grog barrels with brass letters that read "The Queen God Bless Her" or "The King God Bless Him" depending on the reign. Sailors used copper cups of various "measures" to portion out the grog. 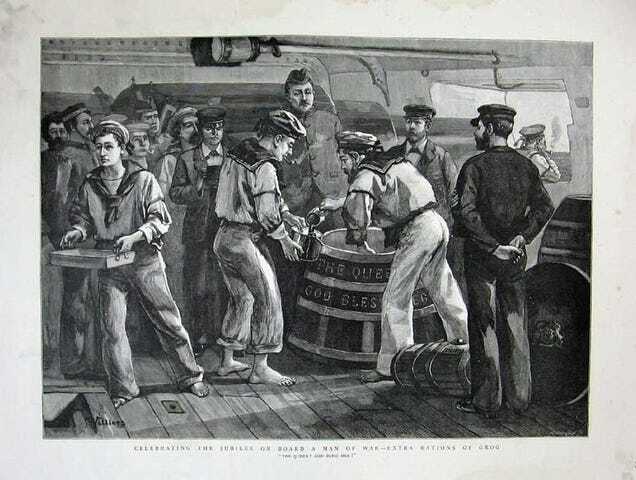 Since it took little more than molasses to make rum, the Royal Navy had no trouble keeping the kegs full. Over the centuries, rum rations were reduced again and again until July 31st, 1970, when the Royal Navy put an end to daily rum rations for sailors. Quite obviously, operating heavy machinery and drinking large amounts of alcohol do not mix, even thought each sailor's tot was only an eighth of a pint at that point. 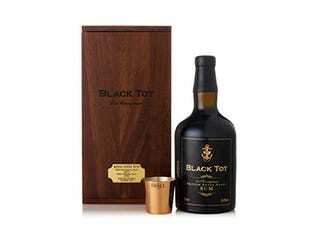 The day of the final ration became known as Black Tot Day. The end of the Royal Navy ration tradition did not spell the end of Navy strength rum, however. In 1979, distiller Charles Tobias obtained the official rum recipe from the Admirality and began selling the same blend of five West Indian rums that used to fill the grog tubs on British warships. Tobias named his new company Pusser's after the slang term for a ship's purser, who originally distributed the rations. Others followed, and now there's a small family of Navy strength rums that smell like alcohol and taste like empire. You're going to love them. 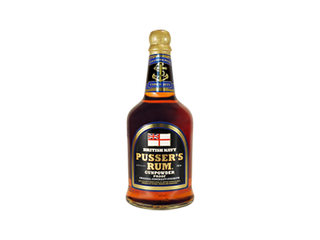 Pusser's Black Label rum is arguably as close as you can get to drinking what the Royal Navy once drank. This "Gunpowder Proof" rum clocks in at 109 proof (a little over 54-per cent alcohol by volume) which is just shy of the 57-per cent figure usually used to describe Navy strength. We'll let you conduct your own gunpowder test, though. Produced with the highest grade molasses, Lost Spirits Navy Style rum is wonderfully complex, perhaps thanks to being stored in charred American oak casks seasoned with Oloroso Sherry. 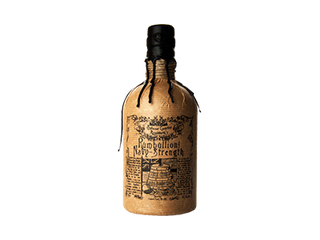 The first sip almost tastes like a fine single malt whiskey but the sweet finish is nothing but delicious refined rum. Made in northern California, so you know it's fancy. This is the whole package—and also one of the most popular Navy strength rums. 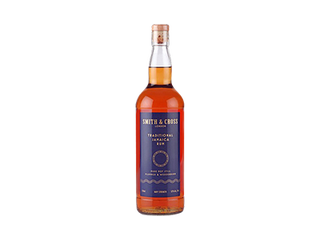 Made on the same island where the Royal Navy first made rum a part of their everyday life, Smith & Cross is unfiltered and full of flavour. The brand itself even dates back to a sugar refinery near the river Thames that opened in 1788, when rum first started filling cellars in London. The origins of the word "rum" are debatable, but it's largely believe that it comes from "rumbullion", an archaic English word for a rowdy good time. With a hand-drawn grog tub on the label, this spirit is clearly channelling its Royal Navy roots. Rumbullion promises hints of cardamom, clove and vanilla. It's also extra spicy for extra fun. 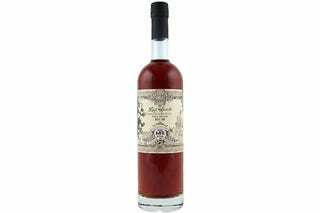 This elegant, extremely hard to find rum comes from the last remaining kegs of Royal Navy rum. That's right: the same stuff the sailors drank. It's chocolately, oaky, anisey—just incredible. A bottle costs as much as a car, but it comes with a free ration cup! Oh, and if you want to get really authentic and make some grog, try this recipe .